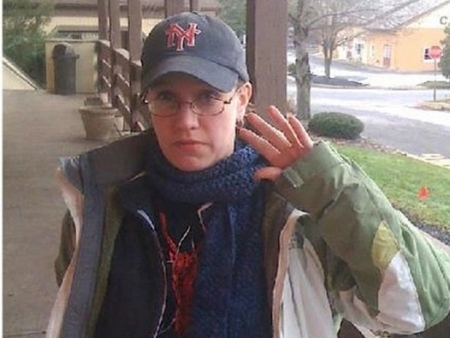 The search continues for 39-year-old Sarah Majoras. The New Jersey woman was last seen about 2 am Saturday morning when she left John and Peter's in New Hope, PA where she works as a bartender. She was spotted on video walking across the bridge into Lambertville, NJ, where she lives. She did make it over the bridge. Dive teams have not turned up anything in the Delaware River. Investigators are searching by land, with canines, and helicopters. Sarah Majoras is described as 5' 4" tall, with blue eyes and blond hair. She was wearing blue jeans, a white cap, a camouflage jacket, and brown leather boots. UPDATE: 3:00 pm Wed. The search still continues for Sarah Majoras. Authorities are focusing on the canal in Lambertville. It is frozen over in many places. They are using cameras and sonar as well as dive teams to search below the ice. Still no sign of Sarah Majoras. UPDATE: 4:15pm Tuesday. The search still continues for Sarah Majoras. She was last seen on surveillance video after she crossed the bridge into NJ on foot. Her boyfriend called the bar when she did not come home, she was reported missing at 2 pm Saturday. search parties continue to exhaust all avenues looking for Sarah. Philadelphia Police are looking for another “person of interest” in the kidnapping case of 5-year-old Nailla Robinson from Bryant Elementary School last week. After interviewing the young girl further she mentioned that another person was with her in the house. A teenage girl, approximately 14-17 years of age with light skin, a thin build and long hair who goes by the name of “China.” Police are interested in talking with this person. The reward is now $80,000 for an arrest and conviction of the abductors. A new principal will start at Bryant Elementary School tomorrow. Michael Rosenberg will take over the position. New Jersey lawmakers passed a bill banning synthetic marijuana and its variants. The products has been sold at a variety of stores from gas stations to party shops and may go by brand names such as “K2” or “Spice”. The bill passed 73-1 and will go to Governor Chris Christie's desk for signature. Last year, NJ reclassified the substances making it a crime to possess, sell, or manufacture these drugs. This new law ups the ante on punishment. Violators can face up to 10 years in prison.